Berlin's most unusual sights: A grandstand on the city's edge. 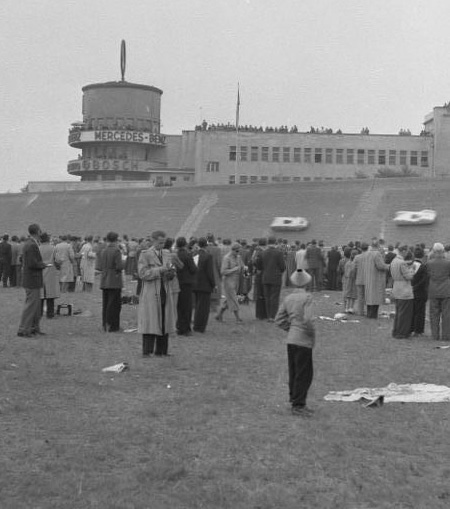 Driving into west Berlin on the Autobahn 115, you'll pass an enormous, dilapidated grandstand. If the surreal sight of it makes you feel, for a moment, as if you're hurtling along a race track rather than a highway, the fact is you more or less are. 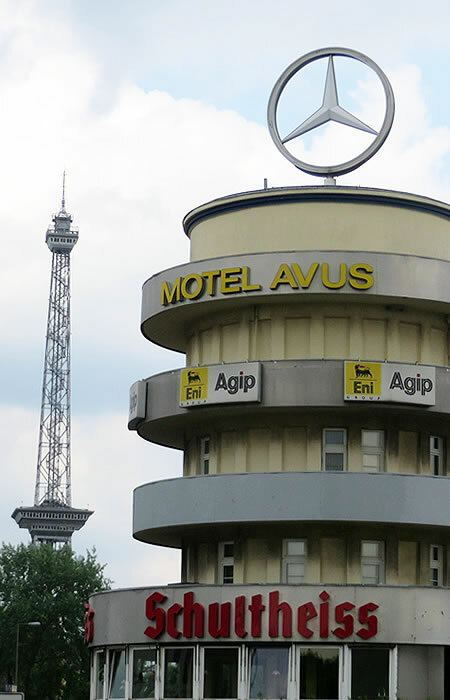 Because the 'AVUS' - as the A115 is still known by most Berliners - was not only Europe's first custom-built motorway, but also a former racing circuit. Construction of the revolutionary Automobil Verkehrs und Übungs Straße (Automobile Traffic and Practice Road) began as early as 1913, although progress was temporarily halted by the First World War. 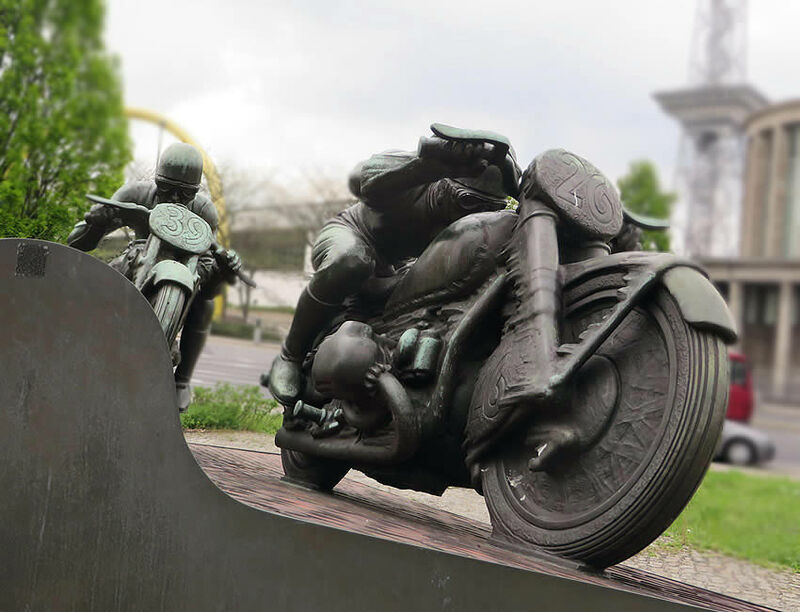 But by 1921 the one-of-a-kind highway was open for business, serving during the week as a high-speed toll route between the city and the suburbs, and at weekends as a venue for both car and motorbike races. In 1936, the nearby Berlin 'Messe' or Exhibition Centre was completed, and the AVUS received a revamp, too. An Art Deco-influenced control tower was added, and a new grandstand built alongside the motorway/racetrack. The circuit itself was also reconfigured, and for a short time became the fastest in the world. 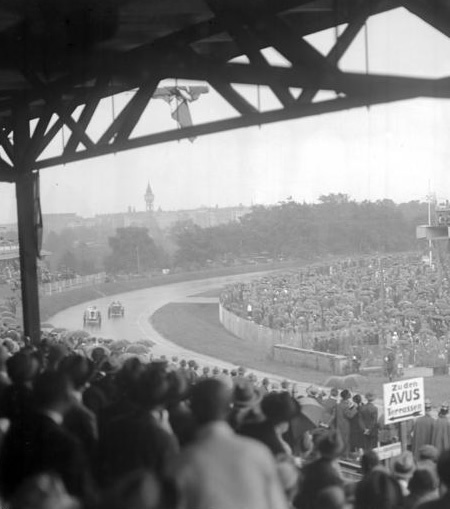 Post-war, however, AVUS' fortunes as a racing venue steadily waned. Now fully integrated within the German motorway system, it became increasingly difficult to re-route traffic during events, and from 1975 the site was only used twice a year for this purpose. Plagued, too, by mounting safety issues, the AVUS staged its last race in 1999. Today, the control tower and and office building have been converted into a motel, and the grandstand, although a protected monument, slowly decays. Yet its spectator-less ranks of seating still provide one of Berlin's strangest sights as they loom into view on the edge of what's now just another motorway.